Marks in Merran's bumper after she was road raged by a truck this week. A GRANDMOTHER feared she was going to be killed by a truck driver who repeatedly rear-ended her after she pulled in front of him in traffic. 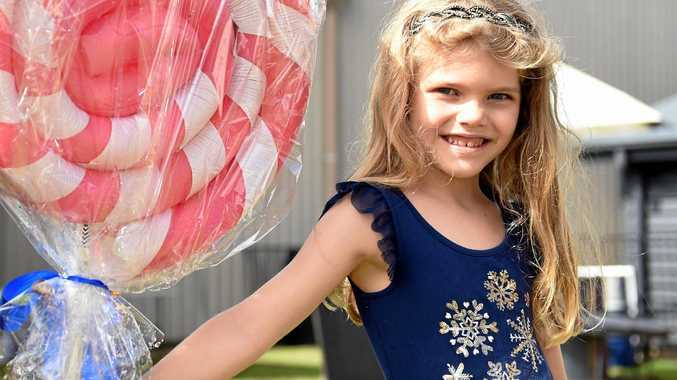 Merran - who did not want her surname published - was travelling from Brisbane's western suburbs along the Warrego Highway to collect her grandchildren from Middle Park when the incident occurred at Bundamba. "It was very frightening, I just couldn't believe it was happening. It's left me very close to tears at times," she said. "I'm just so grateful none of the children were in the car." The 68-year-old said she was caught in heavy traffic on the highway just before 2pm on Tuesday. "We crawled along between 15-20km/h, and we maybe only got up to 40km/h," she said. She said she saw several cars swapping lanes, and saw a gap to merge in between two trucks. 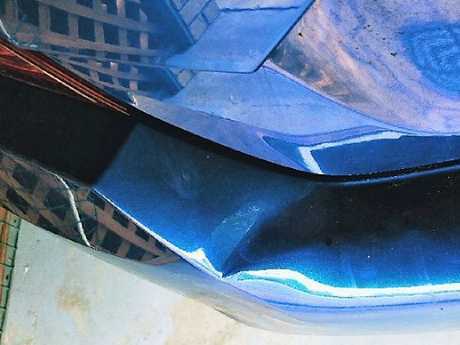 Dents in a Brisbane grandmother's bumper after she was rammed by a truck. "I maintain there was plenty of room to pop in between them. There was no screeching or a horn," she said. "He settled in and there was no reason for me to be concerned. We weren't going fast." But within seconds, all that changed. "We went along several metres then all of a sudden I got hit from behind and it made my car charge forward," Merran said. "Then he just kept going. It was a minimum of four times at least then I don't know, I kind of lost everything. I couldn't believe it, I was beside myself. I was shaking and I started to cry." Merran said the truck banged against her vehicle repeatedly, shunting her forward a little each time. "It was just a horrible feeling of being attacked by a truck. And we were all going slowly. He would drop back then come up and rear end me again," she said. Merran said she indicated to get out of her lane, but there were cars to her left. "I thought 'he's going to kill me, he's just going to mow over the top of me'," she said. Someone did let the grandmother into their lane, and she was able to pull over into the truck lane near the Puma petrol station at Bundamba. "I just screamed, I was so shaken. It was a terrible experience. I wouldn't wish it on anyone, I really wouldn't," she said. Merran described the truck as being dirty and brown with a 'blunt' front and no signage. "I've only ever seen this kind of stuff in movies. I just can't believe it," she said. Merran reported the incident to police, and she hoped witnesses would come forward with information or dashcam. 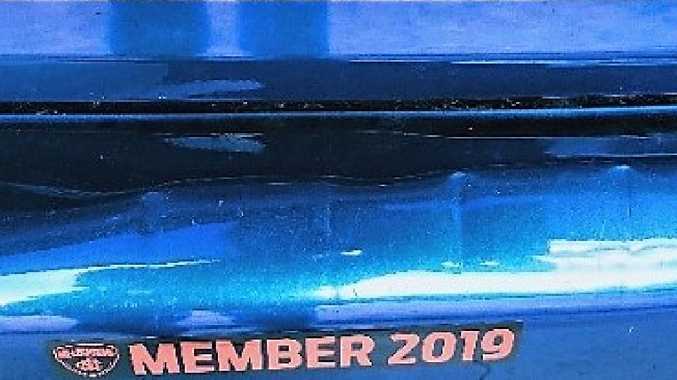 Police have also taken photos of the damage to the bumper of Merran's vehicle, although she was surprised it wasn't worse. "It felt like he was just smashing the car to pieces, but it's got these indentations every couple of inches, and it's dented on either end of the bumper," she said. Since the incident, Merran said she's found it difficult to get back in her car. "What sort of society do we have where that's okay?" she said. "It was incredibly traumatic for me." A Queensland Police spokeswoman said their investigation is ongoing.